Garden of Aaron: Happy New Year! Camellia japonica (Japanese camellia) bud with oakleaf hydrangea (Hydrangea quercifolia) autumn foliage in the background. 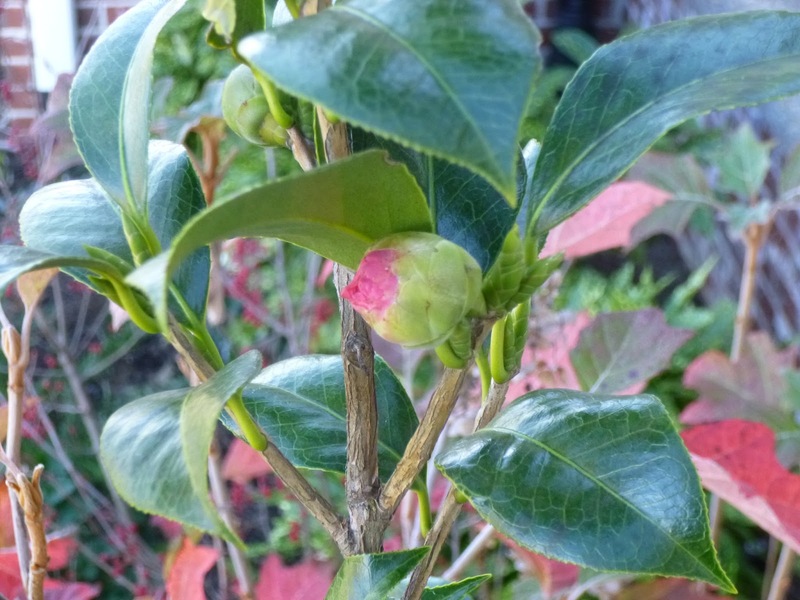 Like this camellia bud, I hope your New Year is filled with hope, beauty and life.